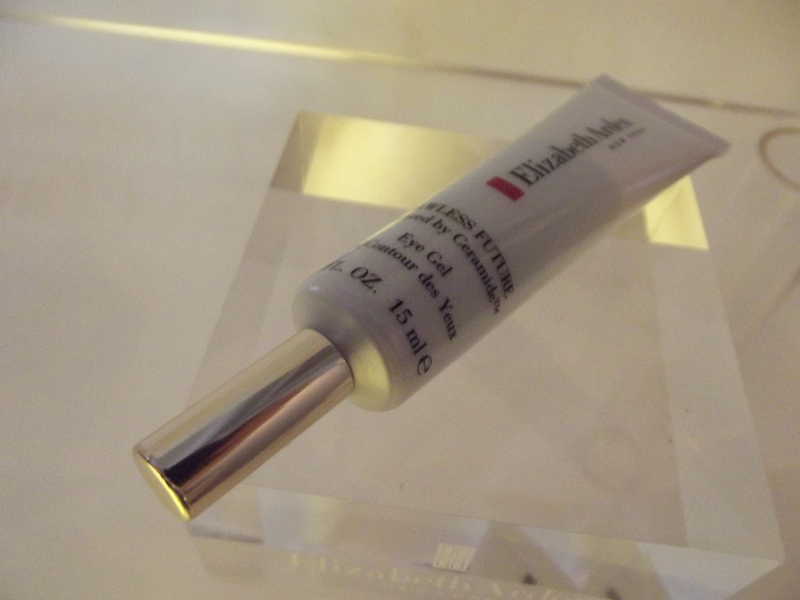 I have always been a really big fan of Elizabeth Arden and have been using the Visible Difference cream for years, especially when I notice my skin getting a little bit dry. So when I had the chance to attend the launch event for their latest range, Flawless Future, I jumped at the chance. Why did Flawless Future appeal to me? Because it’s targeted for stressed skin. On arrival, we were taken through a presentation about stress and the effects on skin. Everyone knows stress isn’t good but did you know that it can age your skin by up to ten years? Yikes. Stress can rear its ugly head in your skin with symptoms such as blotchy tone, redness, dullness and fine lines. These all happen because stress decreases cell turnover. Scary stuff. What are ceramides? These are the molecules that help keep the skin healthy and form its collagen matrix. Think of it as the glue that holds things together. Ceramides deplete rapidly as we age and stress can negatively impact the body’s ability to make more of them. What are telomeres? Telomeres are the caps at the end of chromosomes and their primary function is to prevent our DNA ‘fraying’ as cells replicate. However, as cells divide, the telomeres shorten and shorten until the cell can no longer divide. Cells can generally divide about 50 times before the telomeres disintegrate. Stress, as you guessed can accelerate early disintegration. Stress releases a lot of hormones that are not good for skin, namely cortisol, adrenaline and histamine. These hormones interfere with the skin’s ability to heal itself and therefore it ages faster. To help combat all of this stress related ageing, Elizabeth Arden have released three hero products. This serum contains mini caplets that contain a second skin protective matrix that when dispensed, bursts to activate the powerful ingredients within the serum. Very clever. This is a brightening eye gel that fights the appearance of stress and fatigue around the eyes. The tip also precisely controls the appropriate amount of product to dispense, making for a perfect application again and again. I like this cream because it is non-comedogenic which means it doesn’t clog pores and cause a break out, which I am prone to. It feel intense without being too thick and is perfect for daytime protection against UV rays. Needless to say, it makes me feel safe! 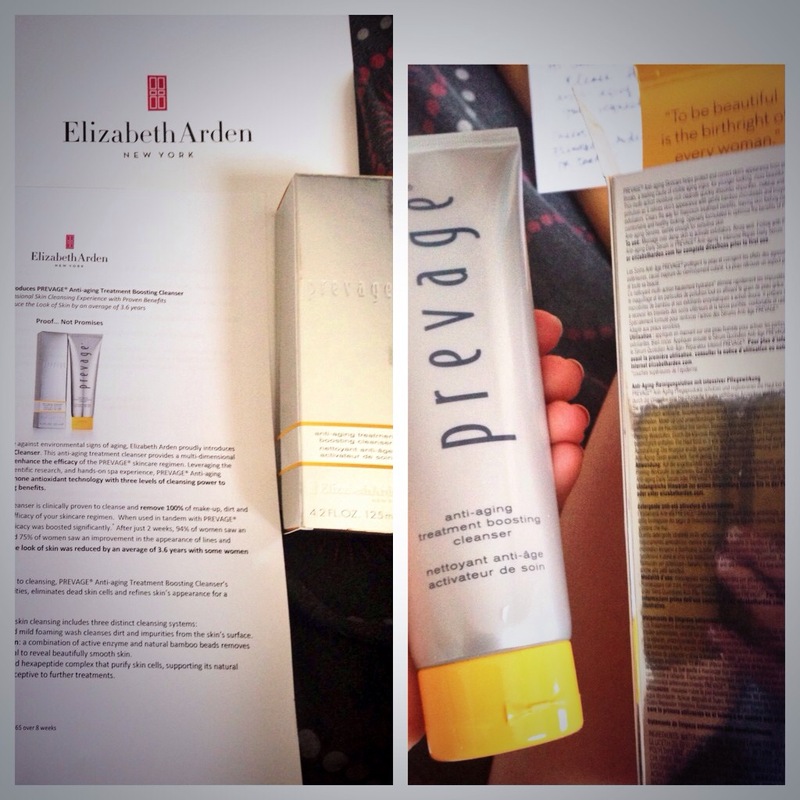 Although this is not a part of the Flawless Future range I also love the Elizabeth Arden Prevage cleanser and have used this as an addition to the Flawless Future ritual. It’s an anti-ageing boosting cleanser that contains Idebenone antioxidant technology. It’s another step in the fight against ageing and although I haven’t tried the other products in the Prevage range, I have heard great things about it and it has a dedicated celebrity following. The most important thing to learn from all of this is that stress is evil for your skin. Do what you can to minimise it and use products that help you defend against it. Flawless Future launches nationwide on August 15th.